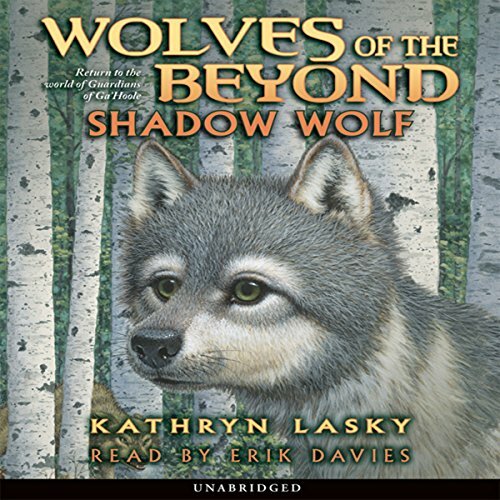 Would you consider the audio edition of Shadow Wolf to be better than the print version? This book is one of the best books I have ever listened to. It is dramatic, has plat twists that make your brain scramble, and *spoiler alert* really makes you hate Heap and the way he irritates Faelen and is insaaaaaane at the end of the story. Very emotional and amazing story.Keep it up Lasky! This was a beautiful and moving story I absolutely loved it.I recommend it to everyone. This is a great story it haze a awesome story line I love the thought. Wolves can soar as high as there soul will carry. A wonderful read even for adults but still feel little on the inside for anyone.